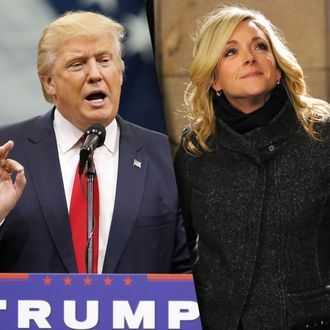 Who Said It: Donald Trump or Jenna Maroney on 30 Rock? Remember that time Donald Trump got mad because a baby was crying? Seems like it was only yesterday, instead of the day before yesterday. It also seemed … familiar, didn’t it? Like the kind of thing 30 Rock’s Jenna Maroney might do? Yes, if you were looking for a blog that paired one ridiculous television character with another, here’s a fun Tumblr that gives you pictures of Donald Trump with lines from Jenna Maroney on 30 Rock. Maroney, played to perfection by Jane Krakowski, is similarly thin-skinned and self-obsessed, and when you plaster her words over pictures of the GOP nominee, they don’t seem that far from things Trump might say, or has said in the past. Maroney, as Trump, has some thoughts on world leaders. 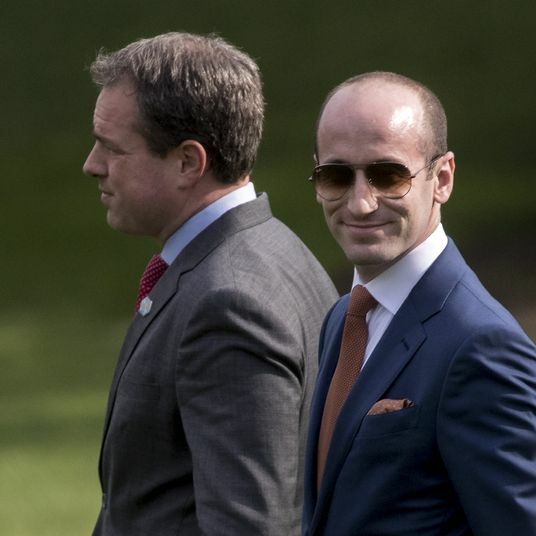 This isn’t the first time somebody has put Donald Trump’s face behind lines from a beloved character. There’s an entire subreddit devoted to Photoshopping pictures of Trump into Calvin and Hobbes cartoons. Again, it’s a seamless gag, with Calvin’s childish questions and complaints subbing in perfectly for Trump’s usual dialogue spew. But again, Calvin, like Jenna Maroney, isn’t real. And probably shouldn’t be president.